I always love to hear about players doing good things in the community. Last week at the Glenmore Park Brumbies season launch, James Tamou’s autograph and photo were in hot demand. 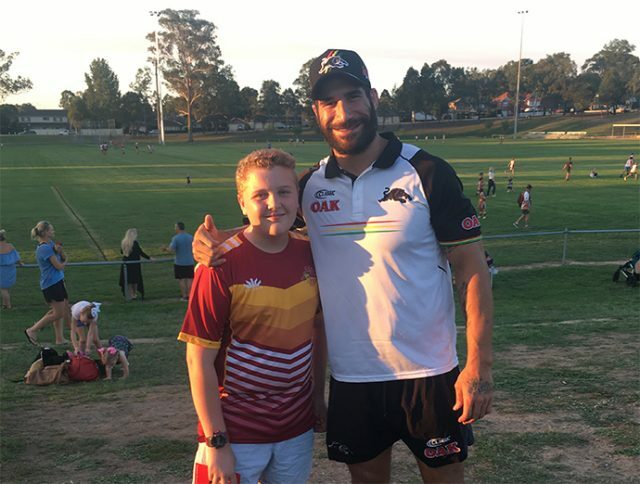 One of the kids in attendance asked Tamou if he could have his hat, and the former NSW forward had no issue in handing it straight over to the youngster. Word quickly spread, and Tamou suddenly found himself handing out plenty of bits and pieces. From what I understand he’s lucky he didn’t leave in just a sock for modesty. The Panthers have been dealt yet another injury blow with star centre Waqa Blake ruled out for the next eight weeks with an ankle injury. The 23-year-old suffered the high grade syndesmosis injury late in the game against the Eels on Sunday and missed the final stages of the contest. It was initially hoped he would only miss four weeks but as it turned out, surgery was required. I’m hearing a former Panther is really struggling to win over officials at his new club. In fact, rumour has it he’s recently started hanging around people he would be wiser to avoid. It has real potential to end in tears. Sad news this week with the passing of former Panthers gear steward Jeff Smith. Mr Smith, who was also on the Board of the Penrith District Junior Rugby League Club, passed away aged 72 last weekend following a long illness. He was the club’s gear steward for the 1991 premiership year and held the role for six seasons. The NRL has issued Banning Notices to two spectators who made offensive remarks towards South Sydney Rabbitohs Captain Greg Inglis at Panthers Stadium in round 2. The Notices ban the two individuals from attending NRL events until they can establish that they have taken sufficient steps to address their behaviour, including apologising and completing approved cultural training and education. Parramatta may be struggling to record a victory on the field, but they’re struggling to win many fans behind the scenes either. The media team at the club constantly ignores requests from journalists – and it’s a growing problem. It appears the club really needs to get its house in order. With only 10,000 fans rocking up to a Sunday afternoon game at ANZ Stadium against arch rivals Penrith on Sunday, you would think the Eels would want all the publicity they could get. 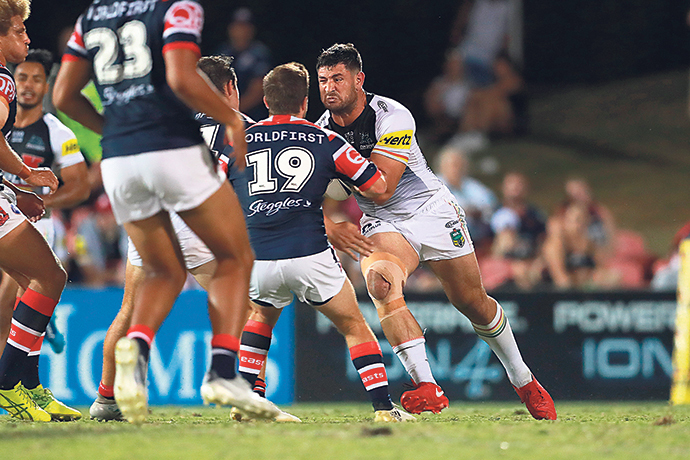 I’ve questioned Dally M judge Joe Galuvao’s awarding of points in Penrith games in the past, and again I can’t fathom how he came up with his decision in last week’s Panthers v Eels match. He gave Nathan Brown from the losing Eels three points, James Fisher-Harris two points and Josh Mansour one point. Nothing for James Maloney despite an outstanding performance including a try assist and a brilliant try-saving run. Last year Galuvao produced one of the stranger Dally M lists when he judged the Panthers v Roosters game at Panthers Stadium, giving Luke Keary three points despite an ordinary performance and failing to award a single Penrith player a point even though the home side was in front for most of the game. What’s going on, Joe? Something doesn’t seem right. A shout out to Panthers centre Dean Whare, who I’m told is an avid reader of the Weekender and Western Property..